2016 Releases: Books on my To-Read List! Here’s a list of some books coming out in the next few months that I can’t wait for. Also on this list (but with no final cover art yet, so I couldn’t make matching graphics!) are The Last Beginning by Lauren James, When She Came Back by Michelle Harrison and As I Descended by Robin Talley. What new books are you looking forward to reading this year? This entry was posted in Discussion and tagged 2016 release, 2016 RELEASES, beautiful borken things, books, crush, debut, fiction, judged, radio silence, the incredible adventures of cinnamon girl, this is where it ends, ukya, usya, when we collided, YA, you know me well on January 13, 2016 by Gee. Published 16th July by Pan Macmillan. 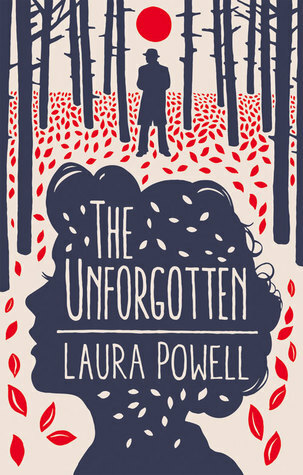 Goodreads Synopsis: When eighteen-year-old Rosie Anderson disappears, the idyllic village where she lived will never be the same again. Local gardener Kate is struck with guilt. She’d come to know Rosie well, and thought she understood her – perhaps better even than Rosie’s own mother. A family torn apart: Rosie was beautiful, kind and gentle. She came from a loving family and she had her whole life ahead of her. Who could possibly want to harm her? And why? A keeper of secrets: Kate is convinced the police are missing something. She’s certain that someone in the village knows more than they’re letting on. As the investigation deepens, so does Kate’s obsession with solving the mystery of what happened to Rosie. My Review: This book looked and sounded amazing, so I was very excited to start it! I had to read the first half in short snatches between the last-week-of-school-rush-to-finish-coursework, but on the last day of school I sat and devoured the last half of the book in one reading. I wish I could’ve read the whole book like that. It’s fast paced and definitely one of my most gripping reads this year! 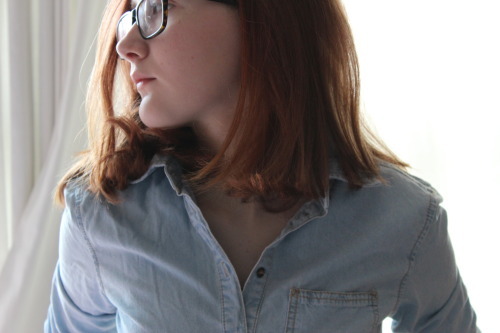 Rosie, teenage daughter of the famous TV presenter Neal Anderson, has disappeared. Kate, the local gardener who had a connection to Rosie, is shocked and saddened by the truths that are slowly coming to light. She decides to investigate on her own as to what happened – delving into the murky and mysterious background of Rosie’s famed family. The outcome of the story is absolutely terrifying. The story felt so real at points it was scary – I especially really liked the psychological aspects and the heavy focus on media representation. It was very chilling to read about how the national papers exaggerated Rosie’s disappearance story – and made me think of how so many papers do this in real life. The Bones of You is a very dark tale and certainly not for the faint-hearted – there are lots of grim scenes. However I raced through the story, utterly engrossed, desperate to unravel all of the answers. The Bones of You is an absolutely stunning début novel. The plot was so intricate and complex and I came up with countless theories, but none of them were anything like the outcome. I had to read over the revealing lines to make sure I wasn’t seeing things! I became really attached to the characters, especially Kate. She felt very realistic and her actions were so believeable. Her daughter has just left for university, and on top of adjusting to that change, she becomes tangled up in the mystery of what happened to Rosie, a local friend’s daughter. I don’t read from adult perspectives very much as I mainly read YA but, unexpectedly, I came to love Kate as much as I would love a YA protagonist. Overall, I was really impressed with this début novel – I went in with not very many expectations and was met with a truly unique, dark thriller. I would jump at the chance to read more from Howells in the future! She has a great talent for writing very realistic thriller stories. The plot was so well crafted, as were the unforgettable characters. I definitely recommend this to people who love crime books. I received a copy of The Bones of You from the publisher, in exchange for a review. In no way at all did this affect my thoughts. 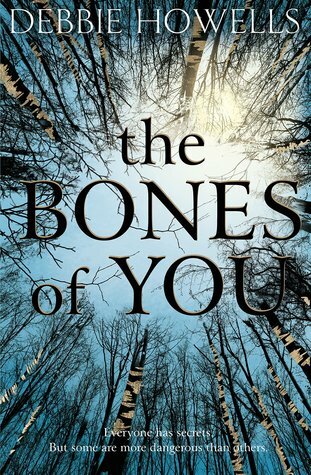 This entry was posted in Uncategorized and tagged 2015 release, adult, book review, contemporary, crime, debbie howell, debut, drama, fiction, mystery, pan macmillan, the bones of you, thriller on August 12, 2015 by keithbwalters. Published 4nd June 2015 by Harper Voyager. Goodreads Synopsis: What if you were the spark that could ignite a revolution? When Laia’s brother is taken she must force herself to help the Resistance, the only people who have a chance of saving him. She must spy on the Commandant, ruthless overseer of Blackcliff Academy. Blackcliff is the training ground for Masks and the very place that Elias is planning to escape. If he succeeds, he will be named deserter. If found, the punishment will be death. But once Laia and Elias meet, they will find that their destinies are intertwined and that their choices will change the fate of the Empire itself. My Review: I first heard about this at the Fire Sermon event with HarperVoyager a few months ago, and instantly the story appealed to me. Over the last year I’ve been getting into contemporary more and more, which has meant I’ve been reading less fantasy. After The Fire Sermon, this seemed the perfect read to rekindle (pun 100% intended) my love for the genre. And, it was! An Ember in the Ashes exceeded my expectations by miles. It was a mesmerising début, from a very talented new writer. The story is told in switching perspectives; Laia, a scholar, and Elias, a ‘mask’ soldier. Laia is thrown into a world of resistance against the Empire and espionage in order to save her brother, whilst Elias is a promising soldier of Blackcliff, expected to go through horrifying things to compete to be Emperor, despite how much he detests the system. The two are about to meet in the place they are both trapped, and the path they take is set to change everything. I adored the characters. Laia was a refreshingly unique protagonist. In the beginning, she is weak, afraid and does not involve herself in anything illegal; that’s all her brother, until he’s captured. She develops a lot over the course of the plot; Sabaa Tahir has written her character so well. I didn’t really mind the vague love triangle, too! It’s really hard to express my feelings about An Ember in the Ashes. It was just so enjoyable – I was sucked into the world of the Empire straight away; swept away with the characters on their terrifying stories. The story ended on such a huge cliffhanger, and I actually thought it was a standalone novel… Thankfully a sequel is due and I’m eagerly anticipating reading more about Laia and Elias. 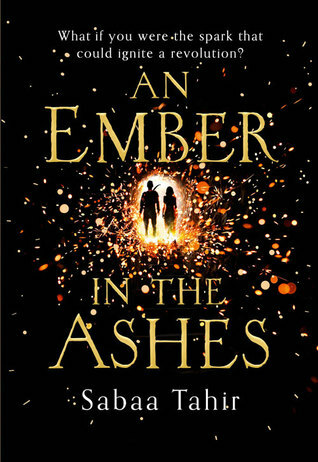 Overall, I very highly recommend An Ember in the Ashes. If you’re a fan of fantasy, Sabaa Tahir’s book is the perfect next read – and, in fact, it’s the perfect book to get into the fantasy genre with. Undoubtedly one of the most stunning debut novels I have read. I received a copy of An Ember in the Ashes from the publisher, in exchange for a review. In no way at all did this affect my thoughts. This entry was posted in Uncategorized and tagged 2015 release, an ember in the ashes, conflict, debut, fantasy, high fantasy, sabaa tahir, usya, YA on August 3, 2015 by keithbwalters. Published February 2015 by Harper Collins. Goodreads Synopsis: Miles has a quirky interest in famous people’s last words, especially François Rabelais’s final statement, “I go to seek a Great Perhaps.” Determined not to wait for death to begin a similar quest, Miles convinces his parents to let him leave home. Once settled at Culver Creek Preparatory School, he befriends a couple of equally gifted outcasts: his roommate Chip―commonly known as the Colonel—who has a predilection for memorizing long, alphabetical lists for fun; and the beautiful and unpredictable Alaska, whom Miles comes to adore. My review is of the tenth anniversary special edition, which contains bonus content and deleted scenes. My Review: This book came as a surprise in the post, but I was so excited when it arrived. I read Looking For Alaska last year, in the short period after finishing John Green’s latest book, The Fault in Our Stars, and I wasn’t sure about rereading it – but I ended up doing so and I think I loved it even more than I did the first time around. Going back to revisit Miles and Alaska and the Colonel felt like a nostalgic reunion with old friends – I forgot how much I loved the characters and their chemistry. Though I feel that all of John Green’s characters are somewhat similar, I can’t fault them. They’re always endlessly funny, yet complex, and they have such well developed back-stories. Since my first read, I’d forgotten much of Alaska’s background and how it connects with her future, and it was quite haunting to rediscover it. As for the plot, I somehow felt even more absorbed, knowing what was coming (though admittedly I forgot at which point the BIG PLOT TWIST THAT BROKE MY HEART happened, and it struck me really hard and I spent the rest of the night crying to my friend). I also picked up on some parallels in the ‘before’ and ‘after’ sections that the book is split into – I didn’t notice how events lined up and how the story begins 135 days before and ends 135 days after, exactly. This is why rereading is the best – There are so many things you pick up that you hadn’t noticed before! However, I did dislike some bits of the plot – I loved the ending but I don’t feel it did the book justice, that near-end scene just felt a little disjointed and random to me. The ‘before’ part is definitely the best part, plot-wise, as in the ‘after’ I felt everything was just dragged out a little. However, it was definitely the most emotional part. I couldn’t help but tear up at so many parts. the reason I’m reviewing this book again is because it’s a new edition, with bonus stuff, so I thought I may as well do a new post and not just reblog my old review. At the back of this edition there’s actually more new content than I’d anticipated – I loved reading John Green’s articulately answered Q&A, thought my favourite thing was the deleted scenes. There were original drafts of scenes such as the opening pages of the book, where Miles is saying goodbye to his parents and starting at Culver Creek school. I found it so fascinating to see how John Green’s writing developed over many rewrites. Overall, I really recommend Looking For Alaska, especially this copy – whether you haven’t read it before and want to start reading Green’s books (Warning, does not come with tissues, you must purchase these yourself.) or whether you’re a long-time fan, as the new things included are really great! Also, hai, gorgeous shiny cover. The story is one of those rare ones that touches you in a way not many can. It rips your heart to pieces then puts it back together, over and over. The characters never truly leave you – the whole book is just unforgettable. I received a copy of Looking For Alaska from the publisher, in exchange for a review. In no way at all did this affect my thoughts. This entry was posted in Uncategorized and tagged alaska, contemporary, culver creek, debut, dftba!, fiction, john green, looking for alaska, realistic, teen, tenth anniversary, YA on February 3, 2015 by keithbwalters. Published 23rd February 2015 by Harper Voyager. Goodreads Synopsis: When Zach and I were born our parents must have counted and recounted: limbs, fingers, toes. We were perfect. They would have been disbelieving: nobody dodged the split between Alpha and Omega. They were born together and they will die together. My Review: From her début novel, I can already tell that Francesca Haig is already a rising star of fantasy: I’m sure I’ll be reading a great many more books from her. The Fire Sermon was an incredibly inventive and original work: I’ve never read anything quite like it. The world-building was stunning. I found the idea behind the novel actually plausible – after a nuclear war, dubbed ‘the Before,’ the leftover radiation has tampered with the evolution of the human race, and now newborns always come as twins – one stronger Alpha and one weaker Omega. It was such a great premise. 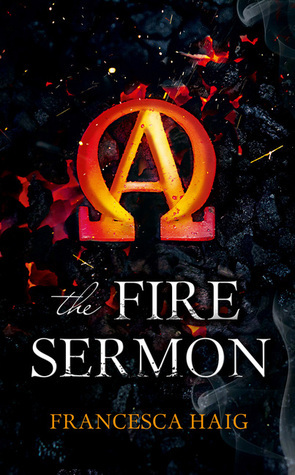 I’ve been really interested in reading about dystopian societies recently, and The Fire Sermon has such interesting politics on the Mainland, where the book is set. I found the way the Alphas and Omegas interacted very thought provoking; as not only is the segregative behaviour very shocking, but it can be compared and related to real life past – and current – situations, and I think that brings a further sense of realism to the novel. I really enjoyed the plot of the novel, for the most part, as Francesca Haig wrote some awesome plot twists. I can’t wait to see how the situation develops further in the next book. The beginning and the ending were enthralling, but I did feel like parts, especially towards the middle of the story, got a little dragged out – much of the book was the protagonists just running! The main protagonist, Cass, was really likeable and I did enjoy her story but I don’t think I warmed to her as much as I thought I would. Her background was so interesting; Cass was born the Omega, but she suffered no visible affect. Instead, she has a different kind of mutation… and it made the story so so tense and gripping! The other main character of the story is Kip: and though the reveal of his past was really great I got so tired of his dialogue. I’m not sure if this was just me but he seemed to almost always talk in a really sardonic way. His frequent sarcastic remarks towards everything did irk me a little. Overall, I think The Fire Sermon was a very stunning début novel. I’d definitely recommend it if you’re a fan of fantasy – or if you’re like me and love a book with an inventive world and a societal focus. Admittedly I did find some parts a little repetitive where it was just walking/running away/etc etc… But The Fire Sermon was most definitely an incredible and thought provoking debut. Also: In this post I wanted to take a moment to highlight the amazing Advanced Reading Copies / publicity campaign for The Fire Sermon! It was so cool. The premise of the book is that people are born as twins, either Alpha or Omega – so proof copies were labelled as one of the two, and numbered. It was really fun finding my twin Shannon! 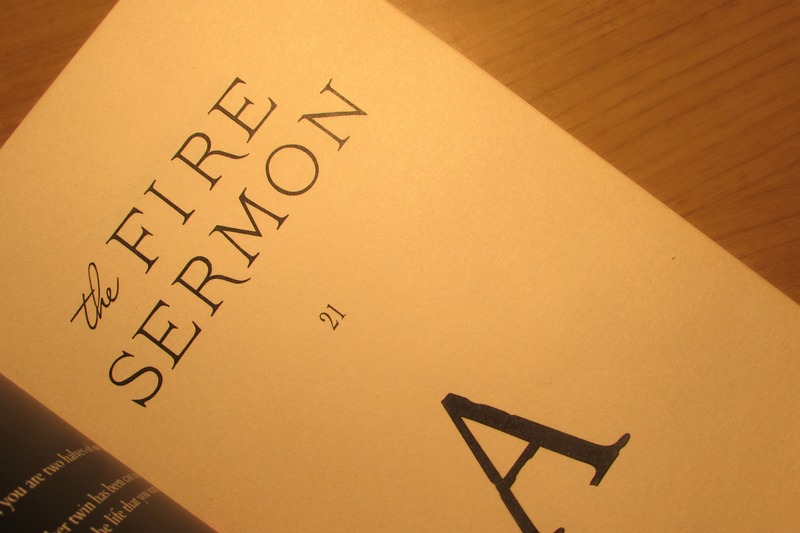 I received a copy of The Fire Sermon from the publisher, in exchange for a review. In no way at all did this affect my thoughts. This entry was posted in Uncategorized and tagged 2015 release, alpha, debut, fantasy, fire sermon, francesca haig, harper collins, harper voyager, new release, omega, romance, sci-fi, the fire sermon, twins, ya adult on January 12, 2015 by keithbwalters.